Andrea Communications is proud to be a leader in education audio products. The EDU-Series was developed specifically for daily classroom usage and features industry leading audio technology, designed with comfort in mind! Keep students focused and on-task with quality EDU headphones and headsets from Andrea Communications. Our EDU Series of products was designed specifically for use by students of all ages. Our headsets, headphones, and USB sound cards are built to withstand the rigors of classroom usage. 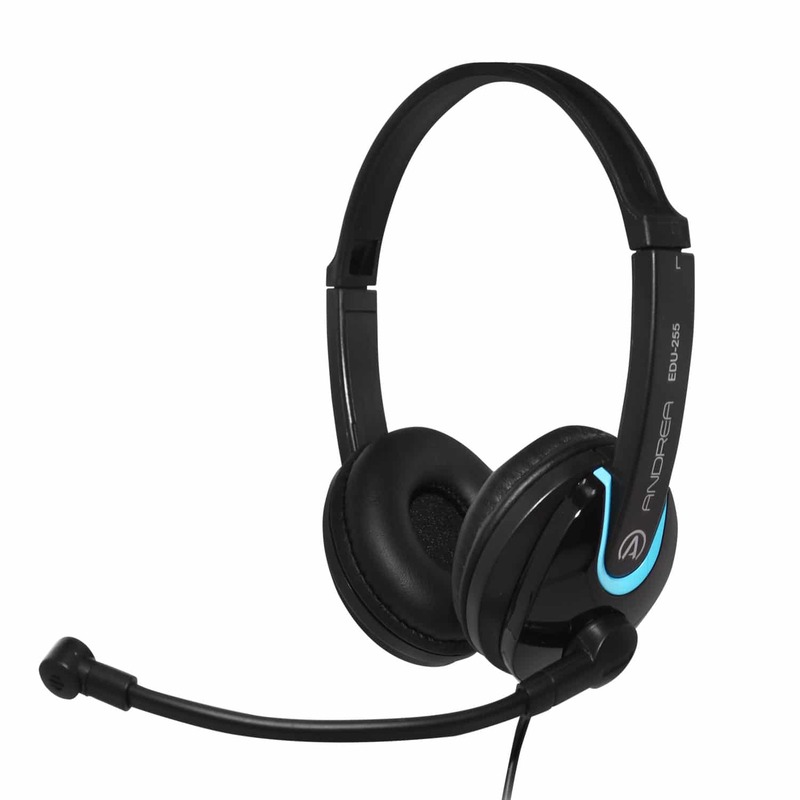 EDU-255 Series and EDU-455 Series headsets feature our exclusive noise-canceling microphone. The internal windscreens address hygiene issues and minimize breath popping for unparalleled sound clarity. 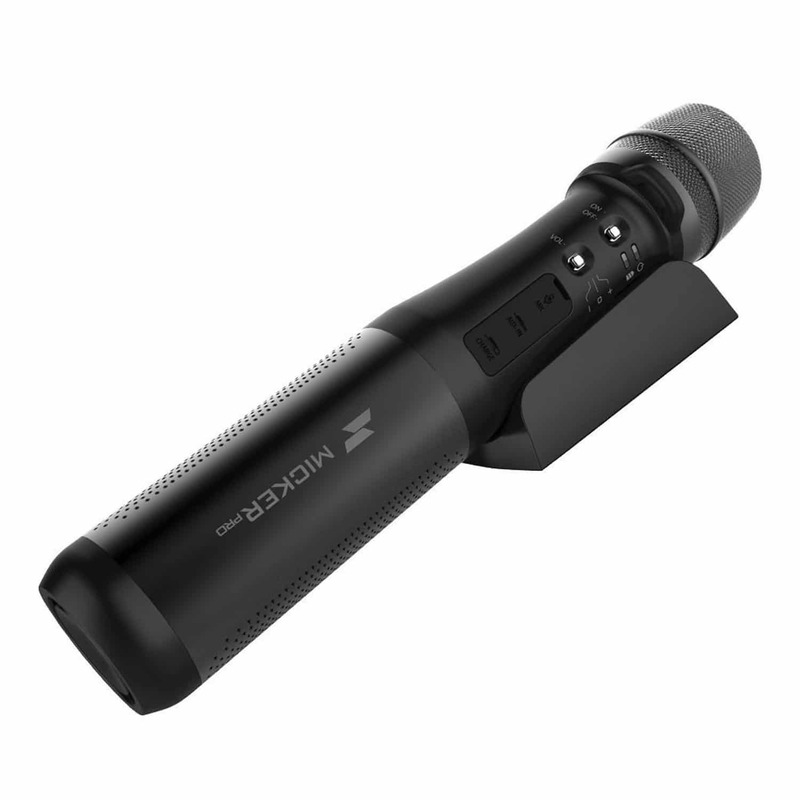 A heavy-duty boom and swivel allow for perfect microphone placement. No wonder our EDU headsets carry the coveted 6-Dragon rating from Nuance, the highest in the speech recognition industry. 40mm speakers in all of our EDU Series headsets and headphones deliver crystal clear audio. Plush, extra-thick leatherette ear cushions are easy-to-clean and replaceable. 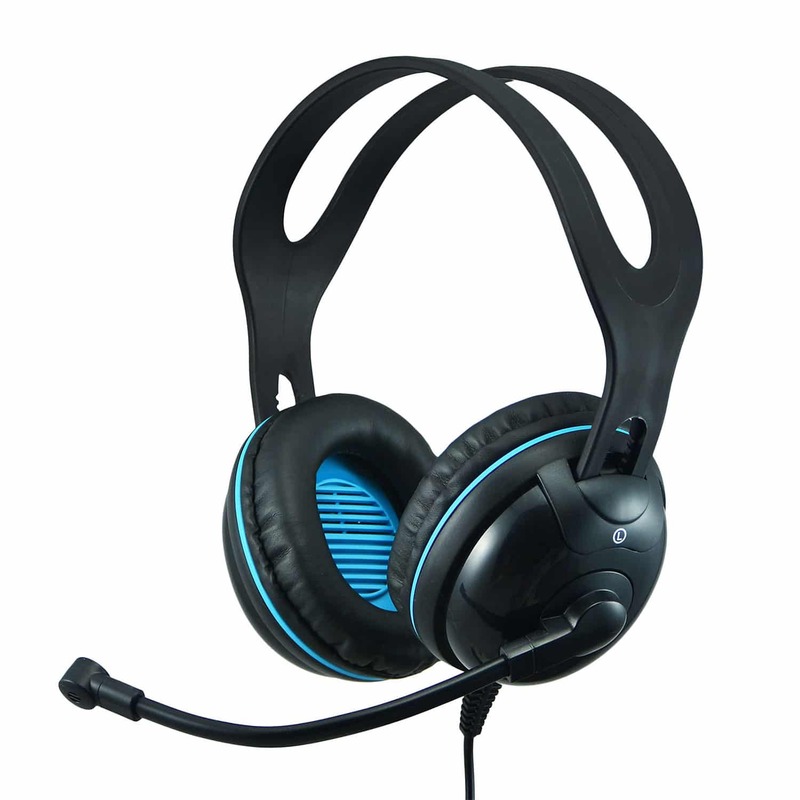 EDU headsets and headphones come in your choice of on-ear or over-ear models. Made from durable plastic, all models have an adjustable headband that ensures a comfortable fit, even on smaller heads. Andrea Communications EDU headsets and headphones are certified safe for use by children in accordance with the United States Consumer Products Safety Commission. The Andrea Communications EDU-455 Over-Ear Headset offers unparalleled speech and sound clarity and includes a convenient in-line volume control *on most models. Offering unsurpassed speech and sound clarity, Andrea Communications EDU-255 On-Ear Stereo Headset also includes a convenient in-line volume control *on most models. 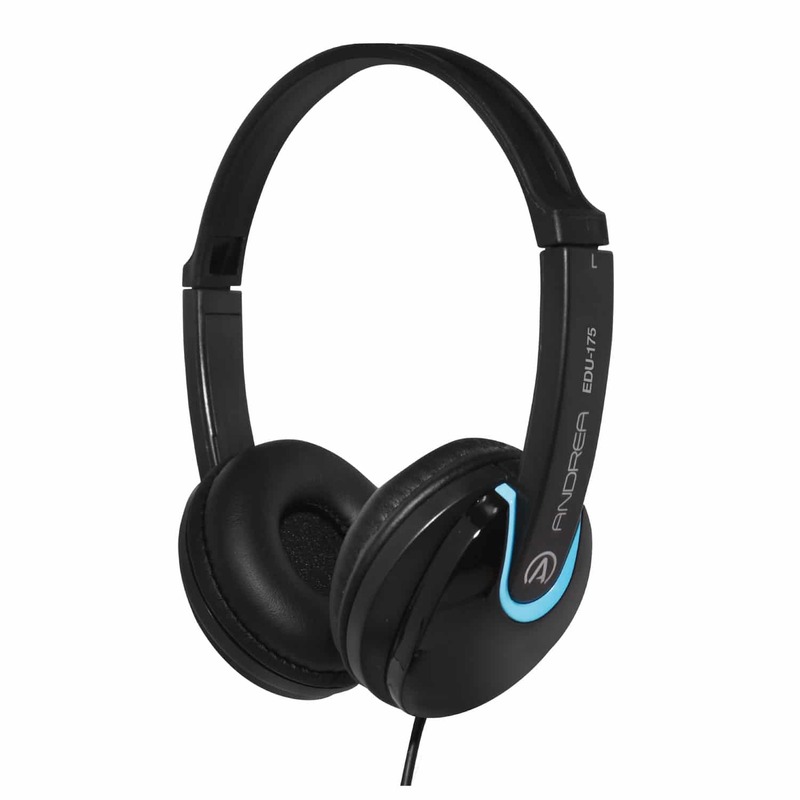 Andrea Communications EDU-375 Over-Ear Headphones deliver incredible sound at a great price. 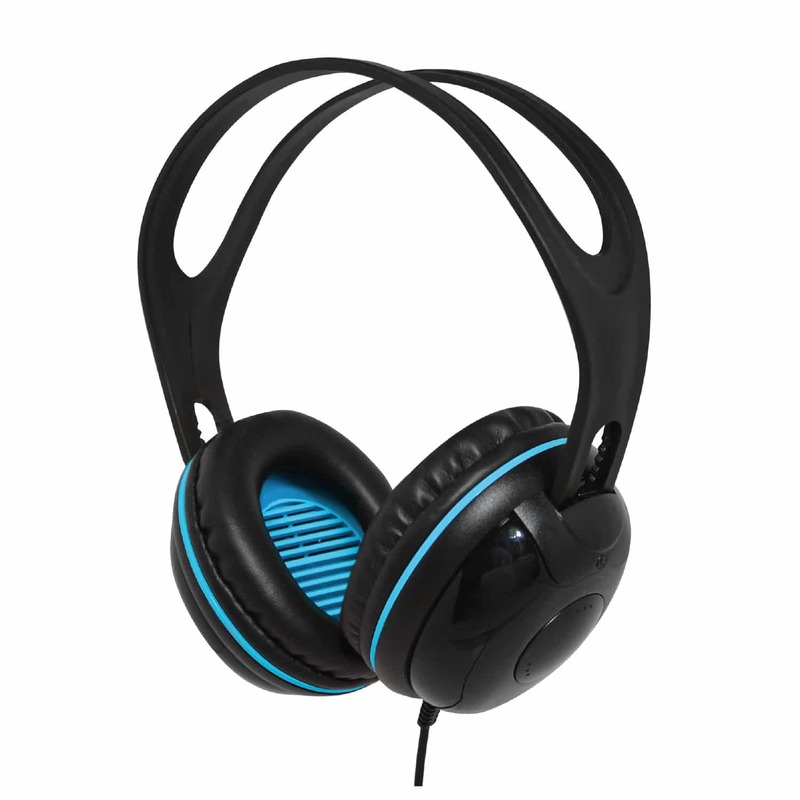 The EDU-375 headphones, with convenient in-line volume control, are perfect for use in educational settings, as computer headphones, or for listening to your favorite music or podcasts. 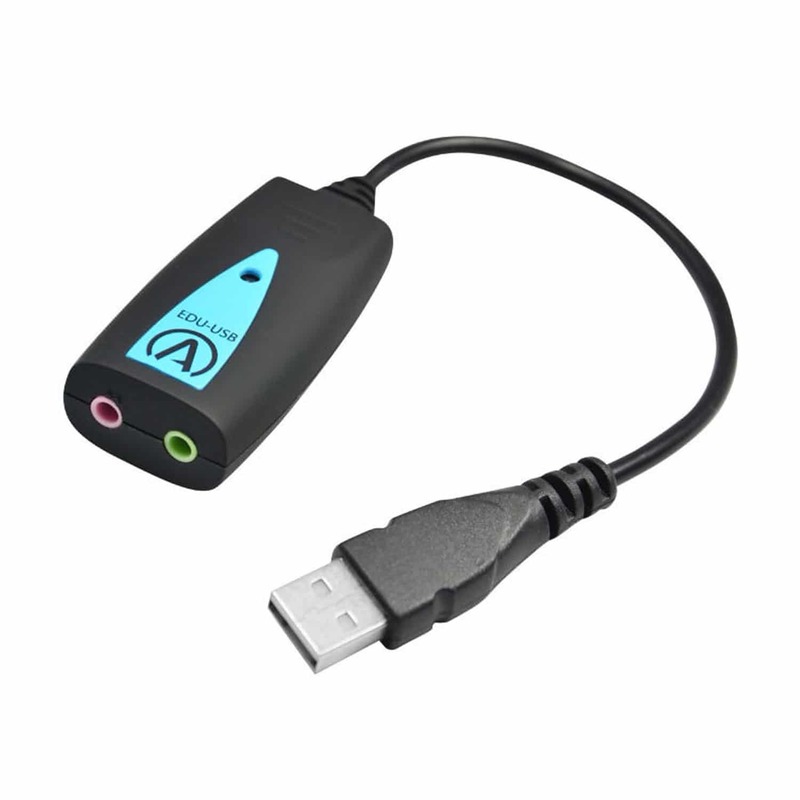 Andrea Communications USB-UNIV Universal External USB Headset Adapter is an external sound card that accepts both Computer Headsets with dual 3.5mm pink and green plugs and Mobile Headsets with a single shared audio 3.5mm black TRRS plug.